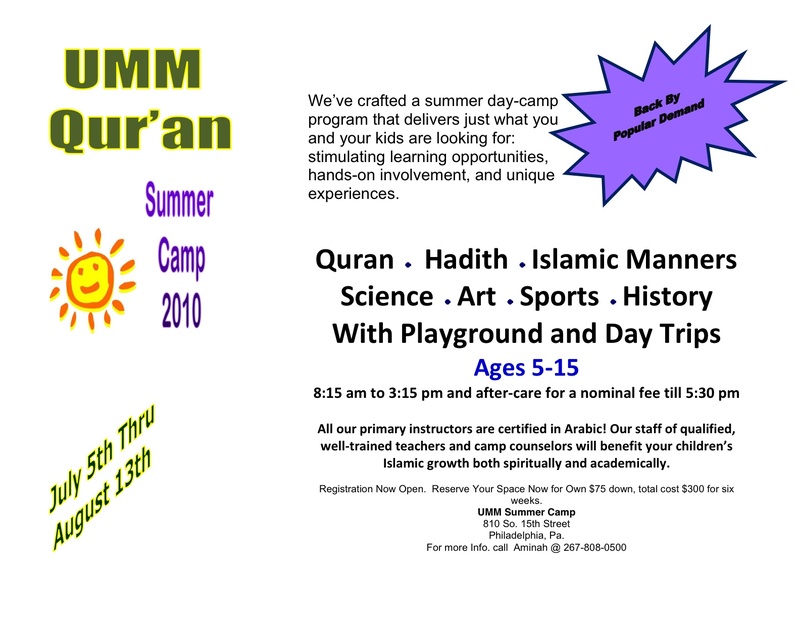 One thing Philly does well is summer camp for Muslim kids. I know several people who are involved with organizing camps and children’s classes. I’m really excited to be involved with this one. I have so much to learn from the other teachers and I look forward to working with the youth camp counselors. I will keep you posted.